Located on the outskirts of Karatu, a quaint country town on the Great Escarpment, midway between Lake Manyara and the Ngorongoro Conservation Area, Country Lodge is situated in the centre of Northern Tanzania’s green belt district and farming community. Hand plaited thatched roof tops, ample verandas and colonial interiors at Ngorongoro Farm House, a small and exclusive hotel built on a 500 acre coffee plantation, all of which has been designed to take you to the comfort and style of past times. Facing the always magnificent sunsets to the west, and located at the highest point on Ngorongoro crater’s entire rim, Ngorongoro Sopa Lodge stands well over half a kilometer above the crater floor and offers unparalleled views across this enormous caldera. This new property located on 15 acres of coffee farm sailing like an ark along with the primeval of the Ngorongoro Crater conservation area which is a world heritage site in volcanic high land of Tanzania. On the rim of the Ngorongoro Crater within 10 minutes of drive down to the crater floor. Set under the Acacia Forest inside the Crater boundaries at 2600m altitude. Acacia Farm Lodge is a romantic Country Lodge nestled in an active mixed farm located high on the spectacular Great Rift’s escarpment area with a commanding panoramic views of the amazing Karatu farmlands and the nearby Ngorongoro forest area. A 5 star colonial lodge situated on a picturesque hill with spectacular views onto Oldeani Mountain and the Ngorongoro Crater Rim. The lodge is elevated with 360 degree views that extend all the way to Lake Eyasi and Lake Manyara. ThornTree Camp is a classic tented safari camp located in Seronera area of Serengeti National Park, about fifteen minutes from the Seronera airstrip and visitor’s centre. The camp is open year round; offering traditional Tanzanian hospitality and great food. The camp operates mostly in December to March and June to October with 10 comfortable safari tents spread out of the central mess area. Located on the edge of the escarpment overlooking the plains of the south-western Serengeti National Park, home to many thousands of wild and rare animals, Serengeti Sopa Lodge lies within an area of out-standing natural beauty. An oasis of cool relaxation from the equatorial sun. The Ang’ata camps are mobile camps situated in Tanzania’s most beautiful National Parks & Conservation areas. These camps are designed to offer the highest quality accommodations one would expect from a tented lodge. This Luxury Camp is ideally located within Central Seronera area of the famous Serengeti National Park in Tanzania around the vicinity of the famous Moru Kopjes and Lake Magadi. This camp is strategically located to ensure that all areas of the Serengeti are within reach of our guests, including legendary locations like the famous Maasai kopjes, the Museum of Olduvai Gorge, Seronera and the Grumeti River. Located near the new Sangaiwe gate to Tarangire National Park with stunning views over Lake Burunge, Sangaiwe Tented Lodge offers travelers to Tanzania luxury tented accommodation, great service and fresh food. Ang’ata Tarangire camp has 8 Guest Tents including a 2 tent Family unit, a lounge and a dining tent. Each guest tent has an en-suite bathroom with shower, vanity desk and flush toilets. Depending on request a Kingsize bed, 2 Twin beds or triples are available. Built to blend in with the vastness of its surroundings, Tarangire Sopa Lodge lies hidden among the kopjes, ancient baobab and grasses of the Tarangire National Park – home to the greatest concentration of elephants in Africa. Many can be seen around the lodge, allowing visitors a close encounter. Osupuko is a Maasai word meaning “Virgin Land” or “Natural Paradise”. 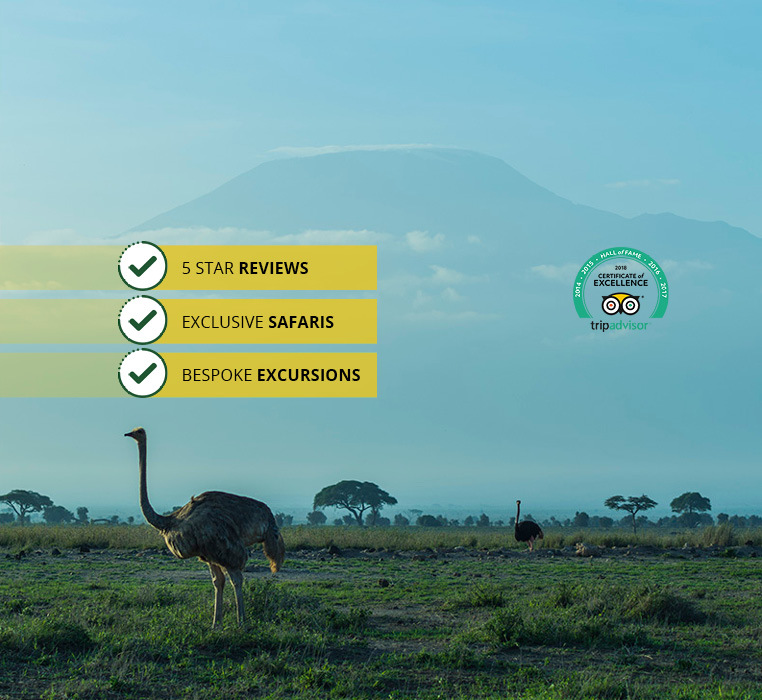 Osupuko Lodges & Camps run and manage up-market properties offering very high standards of personalized quality services for local and foreign tourists. Twiga Lodge & Campsite is located at Mto wa Mbu -one and a half hour drive from Arusha town. Its extensive facilities and beautiful setting has made Twiga a very popular stopover along the route to many Northern Circuit Tourist attractions. Nsya Lodge has all that you could wish for during your visit to Tanzania’s spectacular Great Rift Valley. The lodge has beautiful spacious gardens and is set amongst an Acacia Forest. Lake Manyara Serena Safari Lodge welcomes you with a peaceful location amidst the rich wildlife and unsurpassed tranquility of Lake Manyara National Park. Nestled on the rim of the Great African Rift Valley with stunning views over Lake Manyara, Mount Meru and on a clear day, Mount Kilimanjaro. Perched high on the rim of the Great Rift Valley, Escarpment Luxury Lodge is a serene haven overlooking the wonder of Lake Manyara below. Serenity on the Lake is located 20 Km outside Serengeti National Park on the Lake Shores of Lake Victoria, the largest fresh water lake in Africa and the second largest in the world!